WANT TO EXPLORE AND EXPERIENCE THE REAL IRELAND? 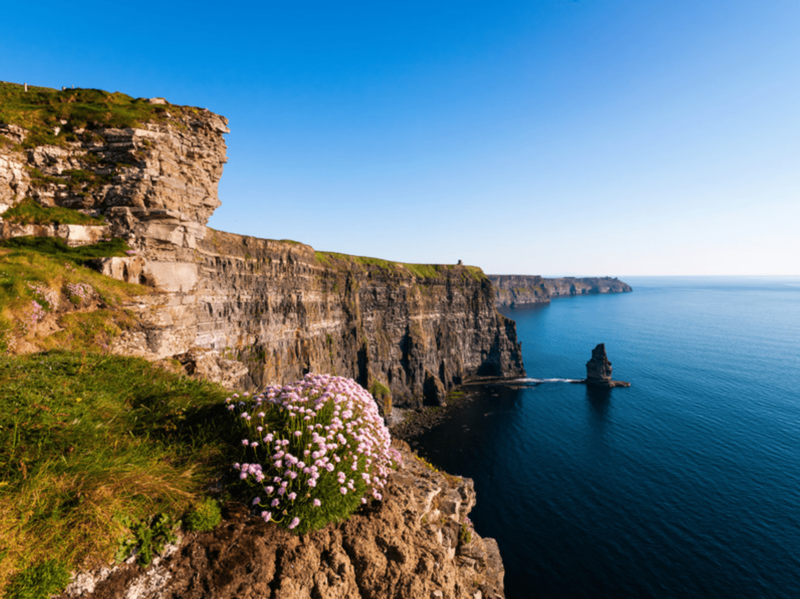 Well, look no further, as we have the perfect tour experience that will definitely captivate your eyes and heart as we explore the most dramatic landscapes of Ireland’s wild Atlantic coastline. Our Wild South tour commences in Dublin and brings us to the wild Atlantic setting of Cork city in the south to the bohemian capital of Ireland Galway city and back to Dublin. 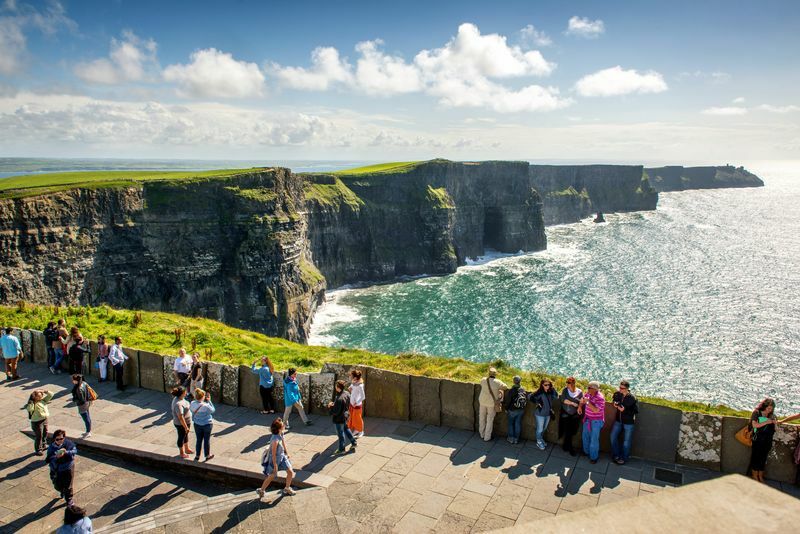 Experience jaw dropping scenery, unique towns and villages full of vibrant colors and Gaelic culture, the roar of the wild Atlantic Ocean and experience amazing activities such as kayaking on the Lakes of Killarney, hiking on the Ring of Kerry and Dingle, exploring the impressive Cliffs of Moher and the wild Burren. You can experience all this and more, as we take you off the beaten track to discover the real Ireland and its beautiful Wild Atlantic Way. The itinerary listed below is for the current season. Given the unpredictable nature of Ireland’s weather, what we do each day might occasionally vary so that you have the best experience possible. NB* – The cost of accommodation and activities are not included in your travel pass. If you wish to add accommodation or activities, then please feel free to contact us and we will be happy to assist you. Your adventure starts off in Dublin, Ireland’s capital, also known as the Fair city. Our direction is south to the rebel county of Ireland, Cork and its wild Atlantic coastline. Along the way, we take a stop off at the Rock of Cashel, a spectacular group of medieval buildings set on an outcrop of limestone and home of the High Kings of Ireland. After lunch we continue our journey towards Cork, which is the starting point of Ireland’s Wild Atlantic Way and where that evening you can relax and savour its picturesque setting and friendly atmosphere. Rise and shine for an adventure along the wild and spectacular coastline of Cork and climb over mountain passes to reach the majestic setting of Killarney. Along the way we will stop off at a Stone Age tomb called the Altar Wedge Tomb, which sits dramatically on the waterfront overlooking Toormore Bay. We continue our journey towards one of Ireland’s most southerly point, Mizen Head. You have the option of visiting the Mizen Head Signal Station* or take a stroll along the golden strand of Barleycove beach. After we have satisfied our hungry souls, we will make our way over the mountainous terrain that separates Cork and Kerry before arriving in the picturesque town of Killarney. It is home to Ireland’s first national park with spectacular glistening lakes, beautiful nature, great food and a vibrant cultural atmosphere. *Mizen Head Signal Station only available from Mid-March to October. Once aboard we head due west to the edge of Europe, also known as Slea Head. Feast your eyes on breathtaking scenery of wild rugged coastline, golden beaches and the magnificent Blasket Islands. We continue our journey around this rich and vibrant peninsulas exploring its vast Gaelic culture and learning a cupla focal (some words) in Irish along the way. We will also visit Dingle town, a picturesque fishing town that is famed for Fungi the dolphin who has been a local for almost 30 years, before making our return journey to Killarney. At midday, we will visit Muckross Park which is home to beautiful gardens and a 15th Century Franciscan Friary called Muckross Abbey which is one of the major ecclesiastical sites found in the Killarney National Park. Take the opportunity to soak in Galway’s vibrant streets, sample its wide variety of food offerings or take a tour exploring its unique historical places of interest. In the afternoon, we take the road back east, crossing the River Shannon on route to the fair city of Dublin where are tour comes to an end. We really hope you have had an amazing time exploring some of Ireland’s most unique destinations and remember Ireland is now forever your home away from home.